Announcement Unique, Exclusive Handmade Fashion. 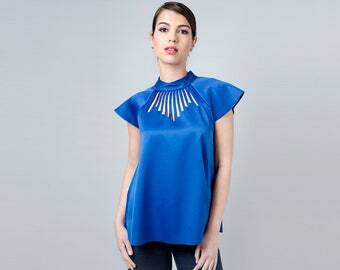 Discover the latest womens clothing by Liat Brandel. 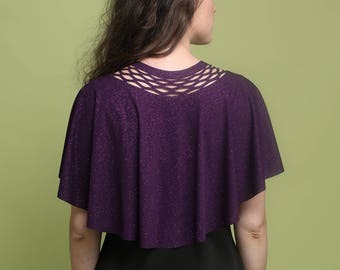 Shop for womens capelets, dresses, tops and more. Unique, Exclusive Handmade Fashion. Discover the latest womens clothing by Liat Brandel. 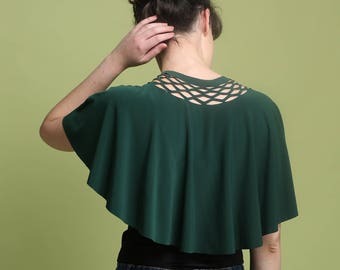 Shop for womens capelets, dresses, tops and more. 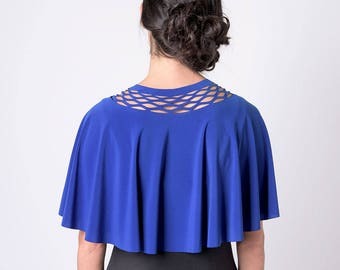 This is a fantastic top: no ironing required and easy wear. Fast shipping too! It’s a pleasure to meet you – my name is Liat. - I love clothes, and also graphics, and architecture, and paper, and a lot of other things too. But mostly clothes. 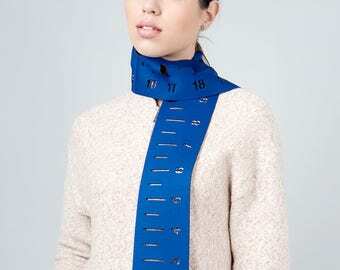 - When I design for you, I design clothes and accessories that I would like to wear myself. - My dream is to make as many women as possible feel special with the pieces I design. - I manufacture all of the pieces myself, from the initial sketch to the complete model, with a lot of love and attention to the smallest details. It is very important for me to ensure the quality of both the finishes and the manufacturing process. Every piece is subject to my thorough scrutiny, from the design phase to the packaging itself. - I think that clothes are meant to be timeless. They are designed to accompany us when we feel wonderful, and comfort us on days that are just not-that-good. The pieces I design will accompany you from morning to evening, to the office and to special occasions, regardless of your mood, today, tomorrow, this season and the next one. - My designs are based on classic, timeless silhouettes and a clean, minimalistic look. They have an elegant touch, as well as geometric elements, inspired by the world of architecture and engineering. Hello, My name is Liat Brandel (28), I am a young womenswear designer based in Tel-Aviv. I graduated from Shenkar's college of Engeneering and Design on 2013 and started my womenswear brand right after. In case you're interested in returning or exchanging your item, no problem! Please let me know within 5 days after receiving it. The items must return new with all tags, buyer pays the return shipping charge; returned items must be shipped by Air Mail with tracking number. Once the item will be returned, I will process the refund / exchange ASAP. Please note: NO RETURNS ON MADE TO ORDER OR CUSTOM MADE ITEMS. Although we only accept payment via PayPal, you DO NOT need to have a PayPal account and you can use any of your credit cards. At checkout, after you have been directed to the PayPal page, simply click on "Don't have a PayPal account". From there it's simple to checkout with your credit card. Payment must be cleared within 4 days. Orders are shipped within 2-21 business days, due to handmade work. You will get a shipping confirmation email with tracking number at the shipping day. Every package is shipped from Israel by Priority Air Mail with tracking number. Shipping with regular registered air mail from Israel usually takes 1-3 weeks. recommended in case you need your order by Christmas. Express shipping is available by request and additional charge. Express shipping takes 3-7 delivery days. Please make sure to check the customs regulations in your country. I accept custom orders and wholesale! In order to keep your items looking its best please follow washing instructions as listed. Custom and personalized requests are welcome, as long as they're based on existing garments. Some listings include a size chart and sizing details, please note that the sizes are true to size! Make sure to check each size chart when ordering. Each product has its own care instructions, you will receive the care instructions along with your order and also when your order is dispatched. Care instructions are also written online in the "Details" tab of each and every product. I accept wholesale orders, in case you're interested in carrying the Liat Brandel brand in your boutique, contact me for more details: liatbrandel@gmail.com. What are the customs charges? Customs Duty is a tariff or tax imposed on goods when transported across international borders. The purpose of Customs Duty is to protect each country's economy, residents, jobs, environment, etc. It differs from one country to another. You can verify the fee's at your country's customs website. It is the buyer responsibility to pay any taxes that customs might claim. I want to purchase an item as a gift, how should I order? All items are packed in a white paper with colorful origami heart and personal note and ready to give as a gift. If you would like us to send the garment directly to the recipient, all you need to do is to put down the recipient address as the shipping address (instead of your own address). A note from you will be gladly added. Simply leave me a message with your personal note to include on a sweet little greeting card. This is an international transaction. Prices DO NOT include VAT/Duty/Customs taxes. In most cases there is no charge, but please note that there is a possibility of this payment addition. Tax payment is at the buyer's responsibility.